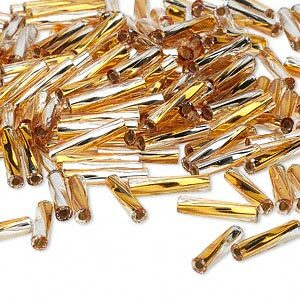 Bugle bead, Miyuki, glass, silver-lined two-tone translucent light gold and clear, (TW3931), 12x2.7mm twisted. Sold per 250-gram pkg. Item Number: H20-9472SBL Have a question about this item? 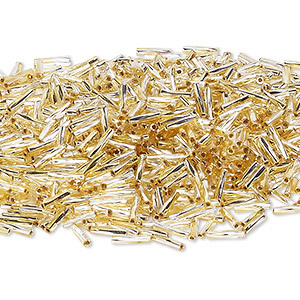 Miyuki's twisted bugle beads align together beautifully, making them the best choice for precision work. 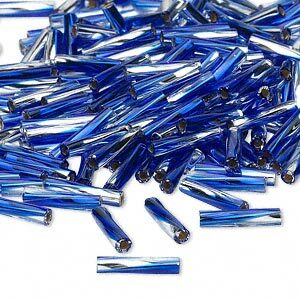 Manufactured by Miyuki of Japan, these beads are renowned for their uniform size and shape, and their large hole, allowing for multiple passes of your needle and thread. Every bead has a silver lining for extra shine and pop of color, creating a two-toned appearance. 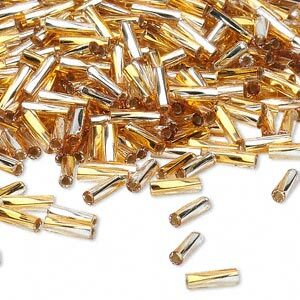 A 250-gram package can contain approximately 2,400 beads. 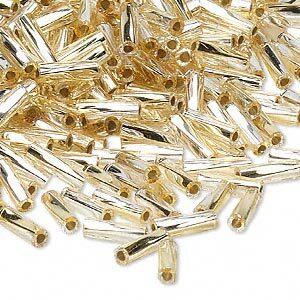 Bugle bead, Miyuki, glass, silver-lined two-tone translucent light gold and clear, (TW3931), 12x2.7mm twisted. Sold per 50-gram pkg. 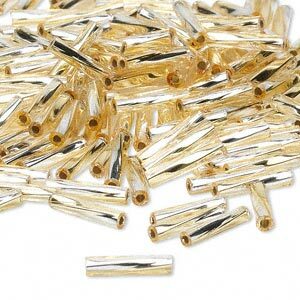 Bugle bead, Miyuki, glass, silver-lined two-tone translucent light gold and clear, (TW3931), 9x2mm twisted. Sold per 250-gram pkg. 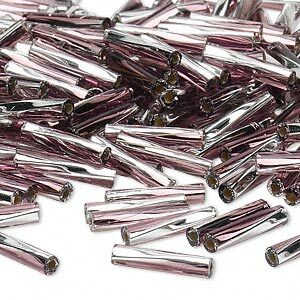 Bugle bead, Miyuki, glass, silver-lined two-tone translucent plum and clear, (TW3933), 12x2.7mm twisted. Sold per 250-gram pkg.